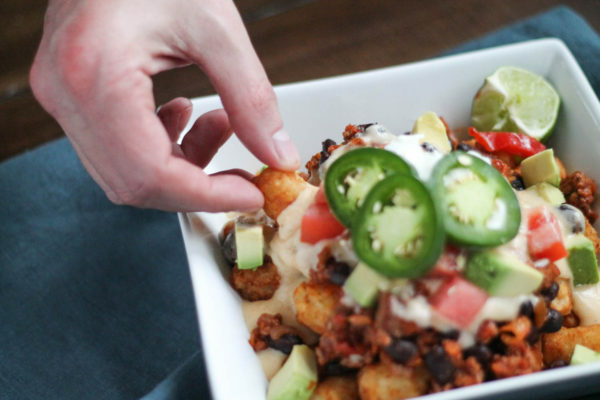 What happens when you combine tater tots and nachos? It is absolutely delicious. 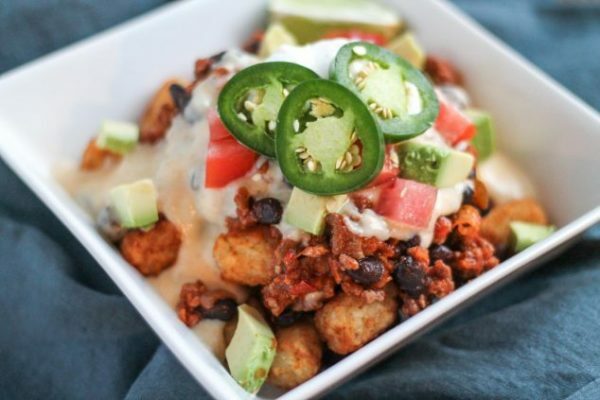 While Chili Cheese Tater Tot Nachos (aka “Tot-chos”) might not be the most photogenic food, they are pretty darn good. 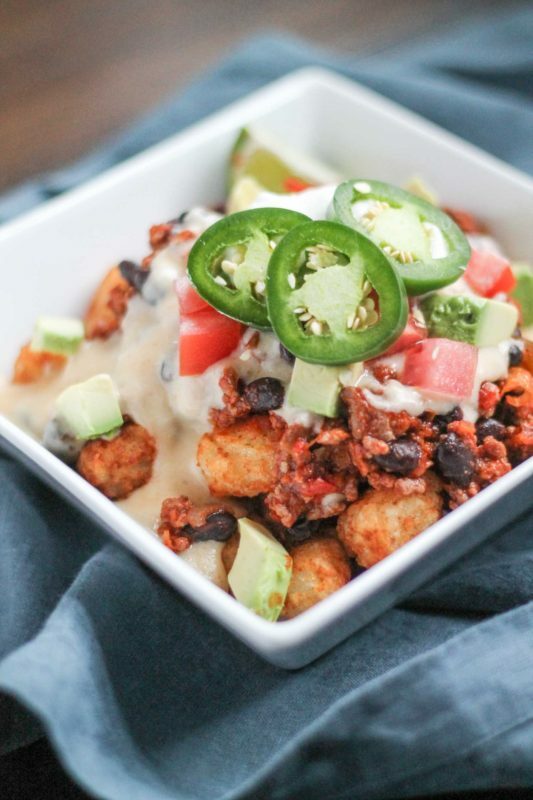 My recipe consists of crispy tater tots topped with a simple beef chili, a homemade chipotle cheddar sauce, plus tomato, avocado, jalapeno, and sour cream. It is the perfect hearty snack to serve for the Super Bowl. And while I don’t have scientific proof, I am confident that this will cure a hangover. 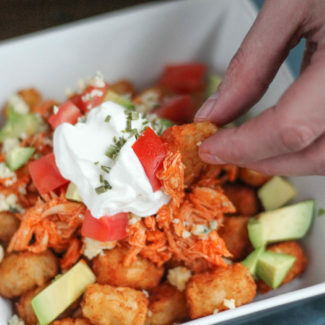 I hope that we can all agree that tater tots are better than nacho chips. Right? 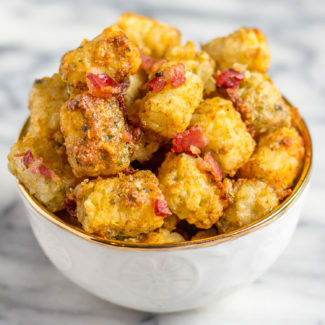 Tots are crispy on the outside, soft on the inside, and so very satisfying to snack on. The spicy chili and cheese sauce transform this into a meal (with a somewhat questionable nutritional value). Instead of using chili from a can, I made a basic chili by combining ground beef, salsa, black beans, chili powder, and cayenne pepper. It comes together quickly and you can customize the spice level based on your preference. 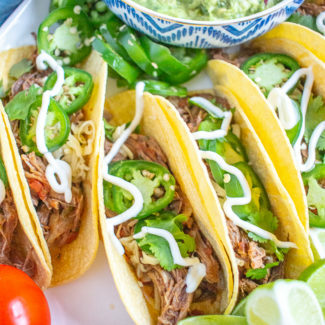 If you don’t want to use beef, you could use ground turkey or bison instead. 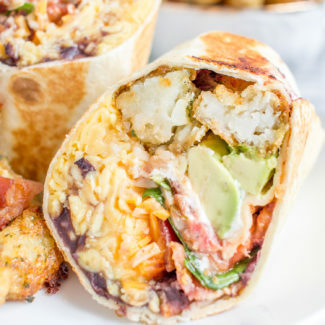 You can easily customize this meal based on your personal preferences. 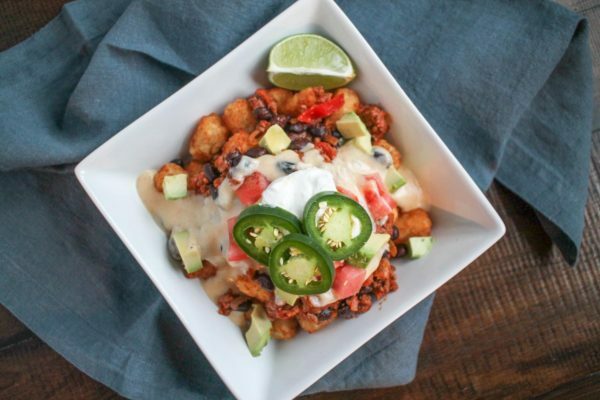 You can use any type of salsa you like to change the spice level of the tot-chos. Black beans are my favorite, so I used those, but you could opt for pinto or garbanzo beans instead. 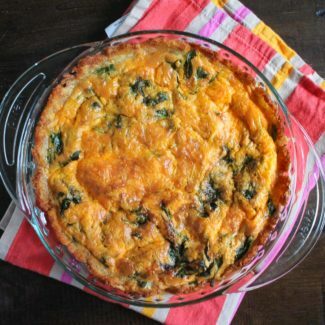 You can also add extra ingredients – bacon, cilantro, and bell peppers would be nice additions to the recipe. Start by cooking the tater tots according to the directions on their packaging. Then heat the olive oil in a medium pot over medium heat. Add the beef, season with a bit of salt and pepper, and use a wooden spoon to break the beef up into small pieces as it cooks. Once the beef has browned, add 3/4 of the salsa and the beans. Add the chili powder and the cayenne pepper. Let simmer on low heat while the tater tots finish cooking. Now get to work on the cheese sauce. Melt the butter in a small saucepan over medium heat. Whisk in the flour and let it cook for 2 minutes. Then whisk in the milk and bring to a simmer. Whisk in the cheese, and once the cheese melts add a touch of the chipotle chili power to taste. Keep the beef mixture and the cheese sauce warm until the tater tots are ready. 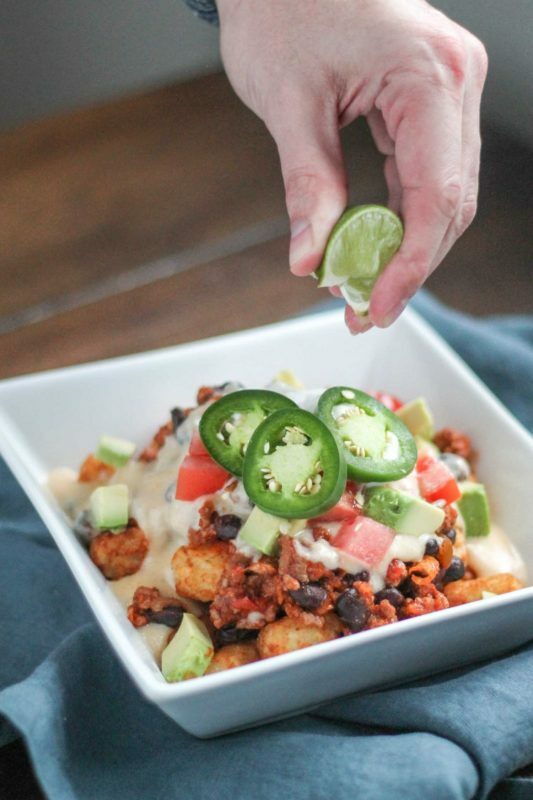 Once the tots have cooked, arrange them on a platter and top with the beef mixture, cheese sauce, jalapeño, tomato, avocado, and sour cream. Serve immediately. 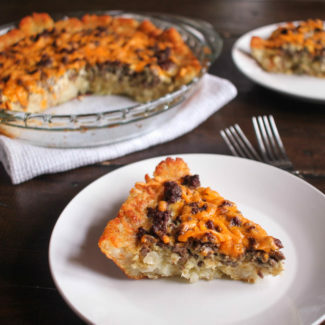 And if you want more recipes involving tater tots, check out this recipe for Cheeseburger Quiche with a Tater Tot crust!